April 2019 Announcement: Ikea / Solarcentury have placed their UK solar panel offering under review until further notice. The best solar panels in the UK are produced by LG. It’s a bold statement, and obviously a debatable one, but we’ve compared 7 of the leading manufacturers on the biggest performance and quality factors and to us the results are clear. *Excluding bifacial solar panels – see later in the article for the most efficient bifacial solar panels. LG offer the longest product warranty at 25 years. This is only equalled by Panasonic with most other manufacturers offering a maximum of 10 years. LG have one of the most powerful panels on the market at 395W. This is only bettered by a Canadian Solar panel which is lower in efficiency. LG also produce the most efficient standard (monofacial) panel at 21.4%; the closest rival is Sharp at 20%. The LG bifacial panel is also the most efficient in our comparison. LG include a 25 year power warranty with their panels. While the other manufacturers also offer a 25-30 year power warranty, LG guarantee the highest performance throughout this period. They state that their panel will be generating at 86 – 88.4% of its maximum capacity in its 25th year while the others average between 82-84%. We think this makes LG solar panels a winner in terms of efficiency, reliability and power capacity, but the other manufacturers we compared also offer a huge range of benefits and features (at a possibly lower cost) which could make them a great choice for your home. Want to install solar panels? Read on to find out more about each of the best solar manufacturers and get the best deal on your new solar panels. 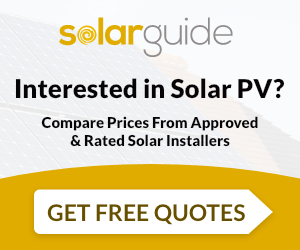 Get Free Solar Panel Quotes: Get quotes and compare prices. LG has been leading the technology market for over 50 years. For 25 of these years they have been researching and producing solar PV panels which continue to outshine much of the competition. LG monocrystalline solar panels offer reliability, performance and durability which is second to none. All of LG’s solar panels are covered by a 25 year power warranty with at least 86-88% performance level guaranteed until that point, but more impressively they are also protected by a 25 year product warranty. This is significantly longer than the product warranty offered by nearly all of the other manufacturers. The NeON R 370W is LG’s efficient solar panel at 21.4%; this is the highest efficiency level achieved by any of the panels we found. In addition, LG guarantee that NeON R panels will still be working at 88.4% of their original capacity in the 25th year. This is LG’s most popular module delivering a high efficiency of 19.8%. It includes CELLO technology replacing 3 busbars with 12 thin wires to enhance both power output and reliability. The NeON 2 Black has thinner wires that appear all black at a distance to enhance the aesthetics of the installation and could potentially add value to a property with its modern design. LG also offer the NeON 2 Bifacial which has cells on both the front and back to maximise energy generation by up to 30%; this has a power capacity of 395W. We’ve compared bifacial panels separately from the standard monofacial a little later in the article but (spoiler alert) LG come out on top in that comparison too. Panasonic is a big name in the technology industry but you may not be aware that the company’s expertise also extends to solar energy. Originally under the SANYO brand, the company has been developing photovoltaic technology since 1975. Panasonic Solar panels are the result of over 40 years of research and innovation and this is evident in the quality and reliability of their solar panels. They also offer an impressive 25 year warranty for both product and power. The Kuro is a 96 cell module designed with both aesthetics and durability in mind. Completely black, it is finished with a thick 40mm frame and can withstand a wind and snow load of 5400 Pa. The panel features Panasonic’s unique water drainage corners to promote self-cleaning of the module and minimise dust accumulation for easier maintenance and a better long-term performance. The anti-reflection glass increases the energy absorption, minimises efficiency losses and reduces the risk of cells micro cracks due to lower laminate thickness. This is Panasonic’s most energy efficient module at 19.7% and is also the most powerful module in the range at 330W. It reaches this power level with just 1.67m² of surface which is around 25% more power than other comparable panels. It is finished with an anodyzed black frame to give a monochrome appearance and corner water drainage to keep the panels cleaner all year long. The Panasonic HIT Slim is designed for small roofs looking to maximise energy generation with less space. At just under 160cm in length and less than 80cm wide, it can adapt to many installations and its design allows for mixed portrait and landscape installation. It is finished with an anodyzed black frame with water corner drainage. Although named for its compact size at less than 150cm long, this module delivers a relatively high power of 295W. This small size allows more rows of panels on a roof to increase the output. It is finished with an anodyzed black frame with water corner drainage. These are Sharp’s most efficient solar panels reaching up to 20%; this is only bettered by LG in our comparison here. They are 48 cell modules with compact dimensions and are lightweight at 17kg. They can also be installed either portrait or landscape which enables an easier and more flexible installation. This is a more powerful module with 72 cells and an output of 360W, but slightly less efficient at 18.5% (although this is still a high efficiency). As the name suggests, Canadian Solar was founded in Canada but is a global solar business with customers, offices and manufacturing sites all over the world. It’s been operating since 2001 to try and “make a positive difference to the environment and society as a whole”. The company offers the widest range of solar panels in our comparison, so we’ve just included their most efficient here with a summary of the panels they produce. Ku Modules include Low Internal Current (LIC) module technology – the next generation of module technology in both poly and monocrystalline. The Ku module portfolio includes: KuMax (144 cells), KuPower (120 cells), KuBlack (120 cells) and the corresponding double-glass KuDymond. SolarWorld is a German technology company but sells its Sunmodule solar panels internationally. They offer one of the smallest ranges in our comparison but use only the best monocrystalline technology with both mono and bifacial options. This is reflected in their substantial product warranty of 20 years which is double that of most other manufacturers. Below is the data for their standard (monofacial) solar panels while their bifacial module is detailed later in the article. The Sunmodule Plus is a 300W lightweight module at just 18kg with hardened, extra thin glass giving a depth of just 33mm. It also has a wave-shaped profile which makes it stronger and easier to install as well as flexible fitting options. The drainage corners ensure the panels can self-clean, minimising maintenance and maximising energy generation. If aesthetics are important in your installation then you also have the option of the Sunmodule Plus Black at 290W. Solarcentury was founded in 1998 and in the years since has installed over 25,000 solar panels systems in the UK. Their solar panel – the Sunstation – is available in a 275W power output. While many solar panels are fitted to your roof on a raised frame, the Sunstation has been designed to be integrated into your roof for a more subtle look. Solarcentury’s ‘mission’ is to make solar power accessible for as many people as possible and, as part of this mission, they’ve joined forces with the global home design brand, IKEA. What are Bifacial Solar Panels? Bifacial solar panels have PV cells on both the front and back; when the panel is installed on a reflective surface this maximises the amount of energy it can generate. Manufacturers claim that bifacial panels are capable of producing up to 30% more energy. It is possible to buy polycrystalline bifacial panels but most are monocrystalline. As with the standard solar panels, LG achieve the highest efficiency level and also offer the longest power and product warranty with their bifacial panels. Generating energy for free with your own solar panels means you’ll need to buy less energy from your supplier and you should quickly see a reduction in your bills. Unlike standard electricity the production of solar electricity doesn’t require the burning of fossil fuels and solar panels don’t emit carbon into the atmosphere. 3. You’ll be generating energy all year round – even on cloudy days! While solar panels are obviously more effective during the summer when there are more hours of sunlight, solar panels will also be generating energy on cloudy days so can contribute to your home’s energy supply all year. Generating energy from solar panels takes you several steps closer to independence as you need to buy less and less electricity from your supplier. If you also install a solar battery storage system, you can keep hold of solar electricity you’ve not used during the day for use at night which is yet again another step closer to energy freedom and increase the money saved on energy bills. When you install solar panels with a battery storage system you can increase the amount you’ll save on your electricity bills even further. Your solar panels will be generating energy during the day but any energy not used will be sent to the National Grid automatically. This means that at times when your solar panels aren’t generating energy, e.g. at night or on particularly cloudy winter days, you’ll need to buy energy from a supplier. However, if you install solar battery storage to hold the energy you’ve not used during the day, you have access to more of your free energy when you need it. Take a look at our comparison of the best solar batteries. There are 2 main types of solar photovoltaic (PV) panel to choose from: monocrystalline or polycrystalline. This refers to the type of silicone in the panels and impacts how effectively they will produce energy for your home. Generally speaking, monocrystalline panels are more efficient, last longer and look sleeker in design. However, as you might expect, these benefits come with a higher price tag than their polycrystalline counterparts. Most professionals will recommend that you opt for monocrystalline, but polycrystalline could still be an effective option if you’d rather keep costs to a minimum. It’s now also possible to buy bifacial solar panels which have PV cells on both the front and back to maximise your energy generation. In terms of aesthetics, monocrystalline panels tend to be black in colour (which many homeowners find a more attractive option) and polycrystalline are blue. You can opt for photovoltaic panels which are attached to frames and sit slightly above the roof, while others can be integrated with your tiles so they blend in more seamlessly. The efficiency of your solar panels is one of the biggest factors to consider. The higher a panel’s efficiency, the more energy it will generate for your home. When comparing efficiency remember to look at ‘module efficiency’ rather than ‘cell efficiency’. The efficiency of the individual cell will be a higher number but doesn’t represent the overall capacity of the solar panel. Modern solar panel efficiency usually sits between 16 – 20%. A solar panel with an efficiency of 19% or more is what you should be looking for, but they are more expensive. However, you should also consider the size of your roof. If you don’t have very much roof space then you’ll need to buy a small number of the most energy efficient panels you can afford. But if you have a large roof, you can install more panels of a lower efficiency which may enable you to reduce your upfront costs. Product Warranty: This guarantees the workmanship and manufacturer’s components. If your solar panel breaks during the product warranty period they should repair or replace it at no charge. These range from 10 – 25 years. Power Warranty: This refers to the length of time that the solar panels will continue to produce energy for and how effectively it will do so. For example, most manufacturers will guarantee that your panels will generate electricity at a minimum of 90% of its capacity for 10 years and 80% for 25 – 30 years. The higher the power output of your solar panels the more electricity it will supply your home with. The power output is measured in watts (W) and generally domestic solar panels range from 200 – 400W. Solar panels with an output of 300W are the best choice if you want to generate all (if not most) of your electricity with them, but these will be more costly to purchase. Solar panels of 200 – 275W will be less expensive and while they will only generate some of your home’s electricity, they can still significantly reduce your energy bills and carbon footprint. You can often get a good overview of a brand’s reputation by browsing through online forums and consumer review websites. Don’t underestimate the value of good old fashioned word of mouth. As solar panels have become more affordable they are becoming a more popular choice among homeowners, so the chances are you’ll have family or friends who have their own. Which brand did they choose? Were there any problems during installation or since? Have they noticed a significant drop in their energy bills? Once you’ve identified a few brands you’re interested in, the next step is to contact some professional installers in your area. They’ll be able to assess your home, lifestyle, energy requirements and give you a bespoke quote. Get quotes for solar panels now. On average, a solar panel system costs around £6,000 – £7,000 including the installation, but you can find systems for as low as £3,000. The cost will be impacted by the brand, type, power output and efficiency of the panels, plus the labour costs of the installation. However, when you are considering the upfront cost of a solar panel system it’s important to factor in the long term financial benefits. Generating your own electricity will mean a significant drop in your energy bills. 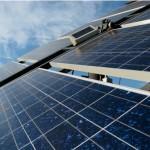 To get an exact cost for solar panels, you need to get several quotes. Professional solar installers will provide you with a free, no obligation quote which tells you what system they’d recommend for your home and how much they would charge. You should always get quotes from at least 2 or 3 different companies to compare their advice and identify where you’re getting the best deal. When choosing solar panels for your home, you need to ensure that the panels are approved by the Microgeneration Certification Scheme (MCS). The MCS is a nationally recognised quality assurance scheme for technologies which produce electricity and heat from renewable sources. If your panels or your installer aren’t MCS approved, you are at risk of getting low quality panels. And, as we’ve said a few times now, to get the best price on your solar panels you need to compare at least 2 or 3 different quotes. At Solar Guide we have a network of MCS approved solar installers all over the UK. Send us an enquiry today and we’ll put you in touch with up to 3 companies in your area. They’ll provide you with a competitive, free and no obligation quote bespoke to your home.